Here’s a rundown o f the main fundamental market drivers from last week that should continue to exert influence into this week and beyond. On Thursday the BoJ boosted markets and the ECB knocked them down. We expect to see the impact of these central bank moves continue to influence markets this week. They anticipate a boost to risk asset prices similar to that seen in the US from the Fed’s stimulus programs. The asset purchases at the heart of the new program are done with new printed money, and that should devalue the JPY. Unlike the US, Japan is an export-oriented economy, so there should be at least some short term jump in exports. Markets are simply ignoring the potentially huge long term risks Japan is taking. Everyone knows what they are, but for now investors are happy to take the short term trade and not worry about the future. As we’ve noted repeatedly in past posts, Japan cannot remain solvent without continued low borrowing costs, yet the massive new easing threatens to send those costs to levels that could bankrupt Japan. Its benchmark 10 year JGB bond yields about 1%, about half that of the US. Yet even with that low borrowing cost debt service on these bonds is well over 25% of its national budget. In the past Japan could count on continued high demand, and thus low borrowing costs, from its huge pool of domestic savers. However Japan has the oldest population in the developed world, with over 25% of its people 65 or older, so that pool is rapidly shrinking as it buys fewer bonds and sell more to fund retirements. Japan is openly attempting to devalue its Yen, so it’s just a matter of time before bond yields start rising as buyers demand higher yield to compensate for the risk of being repaid in much less valuable future yen. Unlike the GIIPS, there is no immediate solvency issue because Japan can print all the Yen it needs to repay those bonds. However the big risk is that at some point market confidence in the Yen falls enough to put Japan in a death spiral, in which ever rising yields cause more Yen printing, which in turn causes further yield hikes. The only question is when confidence in the JPY breaks down and bond buyers (especially the growing proportion of foreign buyers for whom Japanese yields are low) will start refusing to buy JGBs, send JGB prices down and yields up, and so start that death spiral. Many prominent traders and writers, like George Soros, Kyle Bass, Jeff Gundlach, and John Mauldin have all noted these risks, with Mauldin going so far as to call Japan “ a bug in search of a windshield” (Endgame, Mauldin & Tepper, p. 247). Of course timing that breakdown in confidence is nearly impossible, so all we can do is be watchful of it. For now no one is worried. Of course, just 3 weeks ago Cyprus banks were considered good places to keep money. Just 3 years ago Greek and EU leaders strenuously denied Greece had any solvency problems or that the EU would ever consider bailouts that debase the EUR. This brings us to another big market mover of the week, though you wouldn’t know it from the headlines. Despite continued unraveling in the EU (see the following section for details) the ECB gave no indication of further easing, and that pressured markets for the rest of the day, especially in Europe. Draghi’s failure to voice much objection to the damage done to depositor confidence from the Cyprus (beyond what we mentioned in Part 1) didn’t help matters. Germany doesn’t want any more EUR devaluing moves until after its elections, so that Merkel can claim she’s protecting German interests and the value of the EUR as much as can be expected. 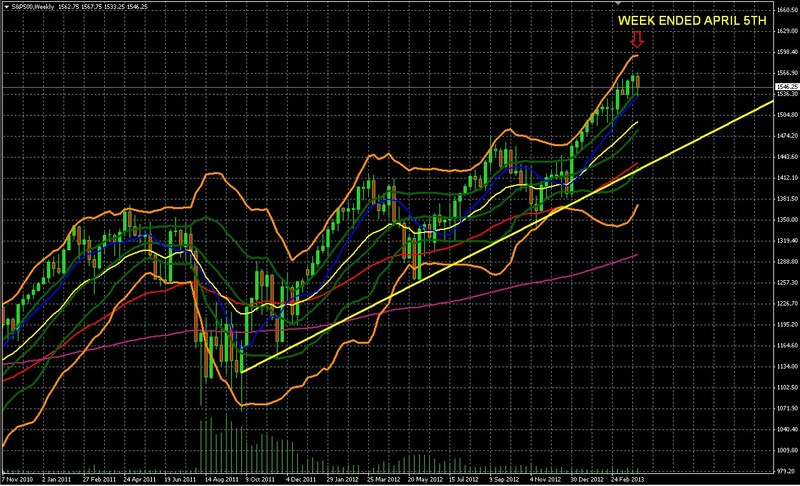 Markets remained calm about the EU despite the recent weeks’ events. Let’s look further at that topic. Barring some significant negative surprise, EU calm (complacency, really) looks set to prevail despite every reason that it shouldn’t. Sometimes a big market mover is something that could have happened but didn’t. Although European and US markets sold off this week, that pullback could have been much worse if the prior weeks’ nervousness about the EU had continued. Instead, markets largely stayed calm about the EU. Indeed, the most important gauge of EU confidence, sovereign bond sales, shows all to be calm for now. Both France and Spain had successful 10 year bond auctions that showed yields and demand improving. Granted, major EU stock indexes have been falling in recent weeks (while US and Japanese indexes have continue higher or held steady), but the retreat has been slow and mild, nothing to suggest it’s anything other than a normal correction to be expected after a long rally. The past weeks’ data has shown mostly further contraction everywhere in the EU except for Germany. The two biggest contagion risks, Spain and Italy, suffer from both depressed economies that are continuing to contract, and weak or non-existent leadership, so there is little chance of bold new policies to improve things. Italy: It’s dependent on its banks’ purchases of Italian bonds, but CDS spreads on those banks’ bonds are rising. See here for details. More immediate concerns from a packed economic calendar: In particular, the big BoJ meeting and US jobs reports and the related preliminary reports scattered earlier in the week. Crisis Fatigue or Complacency: The last time the EU went after private investors was in the summer of 2011 when the EU was arranging another Greek bank bailout. That in turn caused Italian and Spanish bond yields to spike on fears that those bondholders would face similar abuse and brought a whole new bout of EU crisis that wasn’t ended until new ECB programs to provide liquidity to these banks calmed markets. Here again a potentially wider and thus more important group of private investors, depositors, was put at risk, yet markets have thus far shown little reaction. It’s unclear if this reflects crisis fatigue or sheer complacency borne of remaining confidence that a solution will be found to protect depositors in bigger nations that present too much systemic risk. Many believe that depositors at TBTF banks in TBTF nations needn’t fear, as we discussed last week here. There was lots written on the meaning of last week’s miserable jobs reports. Here are the real key lessons. We don’t expect the bad US jobs data to have much lasting impact, despite the Friday selloff. Indeed, we expect to see a “bad news is good” reaction from the markets and media, because the bad news on US employment confirms the Fed’s pessimism on the US recovery and thus keeps in place the current stimulus that has thus far kept risk asset prices inflated and kept rates so low that money continues flowing. That yield seeking cash is propping up not only stocks, but also some of the most battered US housing markets like parts of Arizona, California, Florida and other ‘sand states’ that were presumed to be so overbuilt that prices would remain depressed for years to come. Overall, in the short term this is more positive than negative for risk assets like stocks. It’s unclear how much job growth could take the place of the Fed’s stimulus as a support for asset prices. Now markets don’t have to guess. Stimulus remains in place, now to be augmented by Japan’s new program that represents a near doubling of cash flowing into global markets. Yes, both the USD and JPY are at growing debasement risk. However as long as the global economy remains weak, that longer term problem is a lesser of evils compared to the risk of near term recession or depression. Certainly Europe’s performance over the past year does not support those advocating a more restrained central bank policy like that of the ECB. The downside is that the USD and JPY continue to be at growing risk of devaluation due to policies currently in place. The EUR and GBP are at growing risk of similar debasement, as well as currencies of Japan’s competitors for export market share (including perhaps even Germany?). This again highlights the need for those based in these at risk currencies to diversify their assets and income stream away from these at risk currencies. 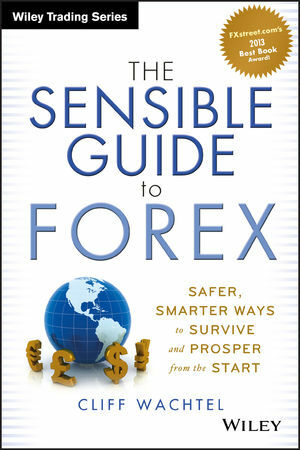 Those seeking simpler, safer ways to do that than generally found in guides to currency trading or foreign investing should skim through my book via the “Look Inside” feature on its amazon.com page, which can be accessed here (for non-US residents click on the amazon link) or here (US residents), depending on where one lives. Even the booming energy sector saw a drop in jobs. The sequester hasn’t hit yet, so many are speculating that the rise in payroll taxes is the cause of the poor reading, as employees now cost more and those that do have jobs now see lower after tax wages. Consumer spending comprises about 70% of US GDP, so the blow of a weaker jobs report will be either exacerbated or softened by this week’s US retail sales report. The past week’s jobs reports are ominous for retail sales. After adding ~ 32k jobs per month over the past 6 months, the sector shed 24k jobs. By definition, higher yielding risk currencies trend in the same direction as major global stock indexes, especially the biggest of all, the S&P 500. However, they’ve been doing the opposite, moving down while the S&P 500 (as well as others like the Nikkei) has been rising. 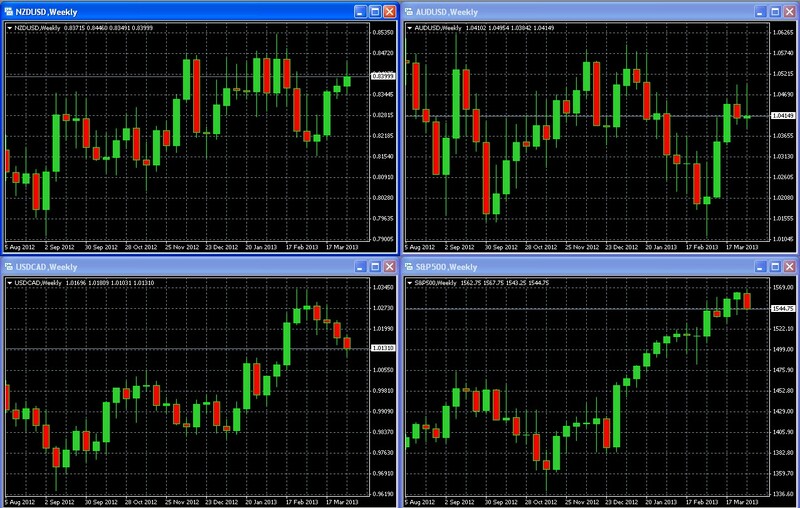 For a variety of reasons, forex markets tend to lead stocks. For example, note the chart below. The CAD had fallen (i.e. the USDCAD has been rising). When a potentially leading indicator for stocks, like these risk currency pairs, starts to fall, that’s called a bearish divergence. It suggests that stocks will follow these pairs and trade flat or lower. Despite historically high bond prices and predictions of a great rotation from bonds into equities, many of the big name bond funds continue to see new inflows of funds. That undercuts the notion that the rally isn’t purely stimulus driven, but rather also fueled by investor cash is making a strong rotation out of bond funds into equities. For the past month, despite all the drama in the headlines, the technical picture for risk assets continues to show a stalemate between upward (but weakening) momentum and bent (but not broken decade-old resistance. Neither is broken, but both are showing signs of stress from the other. The index remains firmly in its Double Bollinger band buy zone, suggesting that the upward momentum is strong enough to trust for opening new long term positions. See here for a quick review of how to interpret double Bollinger bands, which are arguably among the most useful technical indicators. While the old high of 1556 was technically broken, resistance is viewed more as a narrow price range or band, rather than a specific price. The index has yet to make a sustained break past the area around 1556 and hold there. Thus we can only call the decade old resistance dented, but as yet not broken. The fundamentals over the course of this rally that began in with QE 2 in the late summer of 2011 that support the above chart haven’t really changed. Actual economic data has been mixed for the global economy, and slowly improving in the US. Neither these nor corporate earnings have been strong enough to justify this current run at decade old highs. However the assorted central bank stimulus, or promise of it, and the lack of yield elsewhere, has kept most risk assets rising. This past week Japan, the #3 economy in terms of GDP, just began its own stimulus program that could include a wide variety of Japanese and foreign asset purchases, and which is about 75% the size of the Fed’s program, nearly doubling the combined easing from just the US and Japan. For now the rally must be judged as merely pausing rather than reversing.